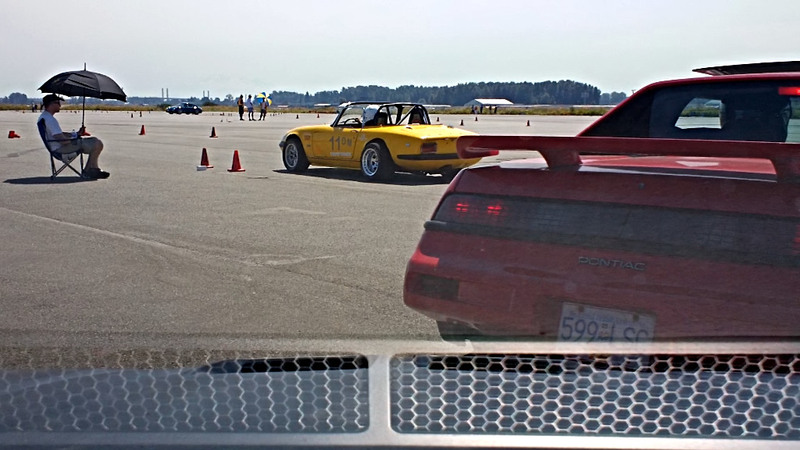 As always,  you are all invited to join the next Porsche Club autocross: Saturday August 2nd - Double Pad event! please spread the word and come on out! Unfortunately, Pat & I will be in Germany on vacation. So we can't attend (just to visit friends). And, we sold our 2007 Corvette….. waiting for the arrival of the 2015… some day. We still need a few more people to sign up for autocross on August 2nd. If you're a novice driver please bring your Porsche out, there are many experienced people that will guide you through the experience. It's one of the best ways to learn the handling of your car and it's a blast! I too will be a newbie in the fact that I'm bringing a rear engined, air cooled car…how weird is that! Not driving a Porsche, but hey… I'm registered. I should be able to make it Rich, even if it I is half the pad. Cheers. My thanks to Rich for putting on another fine event. Loved the G-circles! We all love to see how our times compared to everyone else's. My buddy Colby, who drives the other red '88 Fiero Formula, took pictures of the timing sheets and volunteered to make up spreadsheets to list the results. So thank-you Colby. Not only do you have fine taste in automobiles , but it's also much appreciated that you put this together for all of us. Thanks for putting on another great event Rich. Wonderful weather you ordered up, definitley reminded me of ORP in August. Did that photographer that I almost ran down get some pictures to post? Thanks.